SoundSeeker, created alongside Berklee College of Music, involved reviews of hundreds of music tracks along with 10,000 photos, matching each of the 2.5 million combinations to one of 11 moods. Your favorite photos just got a major senses update -- sound. Royal Caribbean and MullenLowe have designed and built a first-of-its-kind tool that transforms travelers’ most memorable photos into an original, shareable soundtrack with a video to match. SoundSeeker, more than a year in the making, uses patent-pending artificial intelligence to analyze image content’s color, landscape, backdrop, emotion, body language and facial expression and match it with soundtracks powered by music from Berklee College of Music. 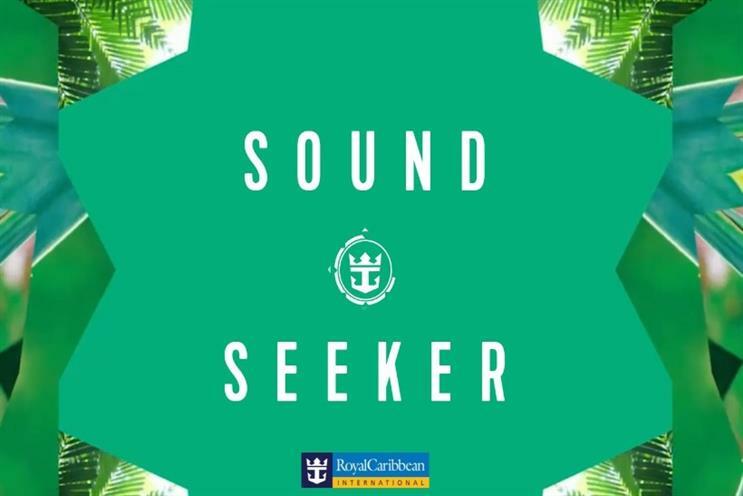 "SoundSeeker is the latest proof point of Royal Caribbean innovation and how we focus it on delivering unexpected, memorable experiences; whether that is the SkyPad, which uniquely combines bungee jumping with virtual reality or live streaming your favorite shows from the middle of the ocean using VOOM, the fastest internet at sea," said Jim Berra, chief marketing officer, Royal Caribbean International. "People of all ages crave new ways to share their best experiences on social media. This unprecedented tool allows you to put a completely unique, multisensory spin on sharing those memories -- now friends and followers can see and hear your life’s adventures." The website, which went live today, allows users to upload three photos of their choice. A.I. does the rest. Fans can then share their work across social media platforms with the hashtag "#SoundSeeker." The machine-learning process entailed more than 600 hours in which Royal Caribbean and a team of musicians and technologists reviewed hundreds of music tracks along with 10,000 photos, matching each of the 2.5 million combinations to one of 11 moods. The A.I. in SoundSeeker uses Google Cloud Vision to identify objects, facial expressions and colors in a user’s photo by referencing the roadmap developed by the leaders in music theory at Berklee. "We were excited to work with Royal Caribbean International on this new technological innovation, and in the process, redefine what creative collaboration means," said Panos A. Panay, Berklee vice president for innovation and strategy and managing director of BerkleeICE. "The work of BerkleeICE expands our students’ definition of what can be accomplished with music education by pushing the boundaries of creative expression utilizing technology. By harnessing A.I. to develop customized soundtracks for treasured memories, together, we have created a new way for people to share their experiences with one another."